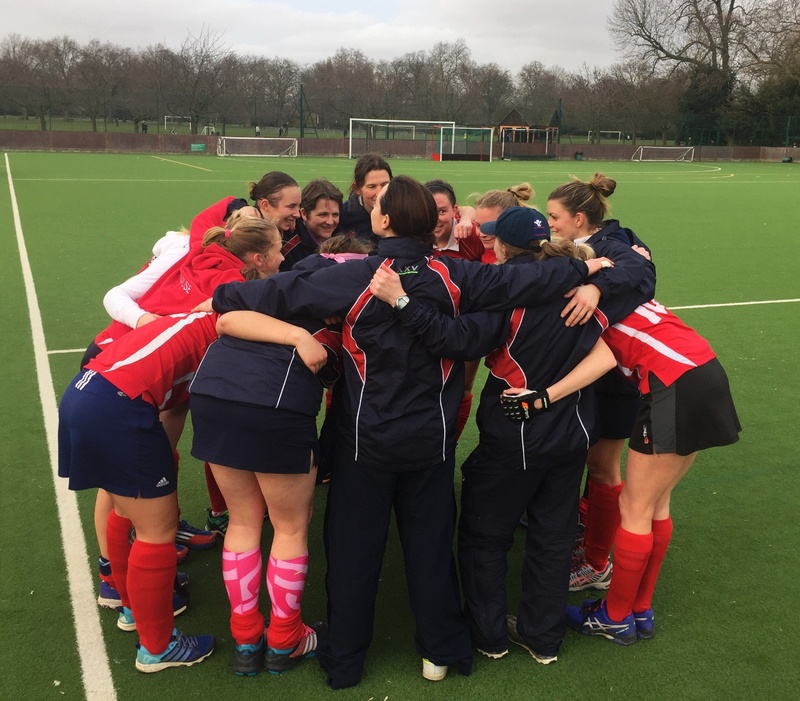 Ladies 1s beat Witney to go 2nd in the league. Basingstoke Ladies 1s sponsored by KJS Solicitors were keen to finish the first half of the season on a high. So keen, that their passing was frantic, balls were shooting off the end of the pitch and they struggled to keep possession. Witney by contrast, put together a number of promising attacks which called for defenders Steph Hazell and Tess Wharton to make goal mouth clearances. Eventually Witney were rewarded with a goal mid way through the first half. Basingstoke kept battling and equalised moments before half time with a super penalty corner strike from Clare Griffiths. In the second half Basingstoke showed composure, flair and creativity. A wonderful diagonal run by captain Catriona Bausor found Clare Bowman in the attacking circle who unleashed an amazing reverse stick shot to take the lead. Man of the match Rachel Roberts ran the Witney defence ragged with her great movement, pace and control. Some excellent team interplay and quick reactions from Fiona Parker allowed her to score Basingstoke’s third goal from close range. Basingstoke increased their lead, with Kirsty Kent scoring the team’s fourth goal from another penalty corner. The only blemish on Basingstoke's second half display was when Witney were rather surprisingly awarded a penalty flick in the last few minutes of the game. Goal Keeper, Gemma Carswell managed to get a glove to the shot but couldn’t stop it from crossing the line. Witney deserved this consolation for their hard work, but they could not match Basingstoke’s overall performance. Basingstoke finished the game 4-2 winners and moved into 2nd place in the league at the half way point in the season. Next week they welcome top of the table Surbiton in what will undoubtedly be a cracking game before Christmas.